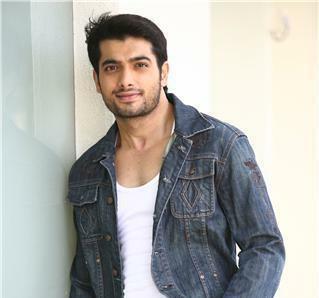 Sharad Malhotra is an Indian actor of film and television. He is best known for his portrayal of Rishi Singh Bedi and Sagar in Colors TV’s Kasam Tere Pyaar Ki and Zee TV’s Banoo Main Teri Dulhann. For his work in Banoo Main Teri Dulhann, he won Indian Telly, Zee Gold, Zee Rishtey and Kalakar Award. He was also seen as Maharana Pratap in the historical drama series Bharat Ka Veer Putra – Maharana Pratap. He is currently shown in the television show Muskaan on Star Bharat as Raunak. Born on January 9, 1983 in Mumbai, India, he has an older sister named Reema. He was educated at St. Xaviers College in Kolkata. He was in a long term relationship with co-star Divyanka Tripathi. *He was born on January 9, 1983 in Mumbai, India. *He was a contestant on India’s Best Cinestars Ki Khoj in 2004. *He is an ardent devotee of Lord Ganesha. *He has a pet dog named Musky.